يوفر فندق فندق ميركيور سيدني ظروف إقامة راقية وهو خيار رائج للسياح ولرجال الأعمال أيضاً. يقع في منطقة تسوق, مطاعم من المدينة. يحظى هذا الفندق ذو 4 نجمات بمكان ممتاز يسمح بالوصول إلى المعالم السياحية الأكبر في المدينة، فهو يبعد مسافة 1.5 km عن صخب المدينة. إن سهولة الوصول من الفندق إلى المعالم السياحية الشهيرة الكثيرة في المدينة هو استثنائي بحد ذاته. ببساطة كل الخدمات وأساليب الضيافة التي تشتهر بها Accor Hotels تجعلك تشعر وكأنك في بيتك. يقدم هذا الفندق العديد من الخدمات الكفيلة بإرضاء أكثر الضيوف تطلباً. بالإضافة لهذا، تتضمن كل غرف الضيوف مجموعة واسعة من وسائل الراحة . بعض الغرف توفر حتى تلفزيون بشاشة مسطحة, سياسة التدخين - غرف لغير المدخنين متاحة, مكيف هواء, تدفئة, مكتب لإرضاء أكثر الضيوف تطلبًا. سواء كنت من محبي الرياضة أو كنت تتطلع لتفريغ عناء نهار صعب، ستجد خدمات ذات مستوى عالي بانتظارك كمثل مركز للياقة البدنية, ساونا, مسبح داخلي, حديقة. مهما كانت أسبابك لزيارة المدينة، فإن فندق ميركيور سيدني هو الخيار الأفضل لإقامة مثيرة وممتعة. Pros Next to Central train station Walking distance to Hay & Paddy's Market Most buses outside main entrance on both sides of roads (goes about everywhere) Many eateries around Cons Room is small with 2 double beds Small swimming pool on level 14th but who needs a pool when there are beaches around😎 (so might not be a con) It's enough for our short 2 days stopover as we came from Katoomba enroute to Canberra. 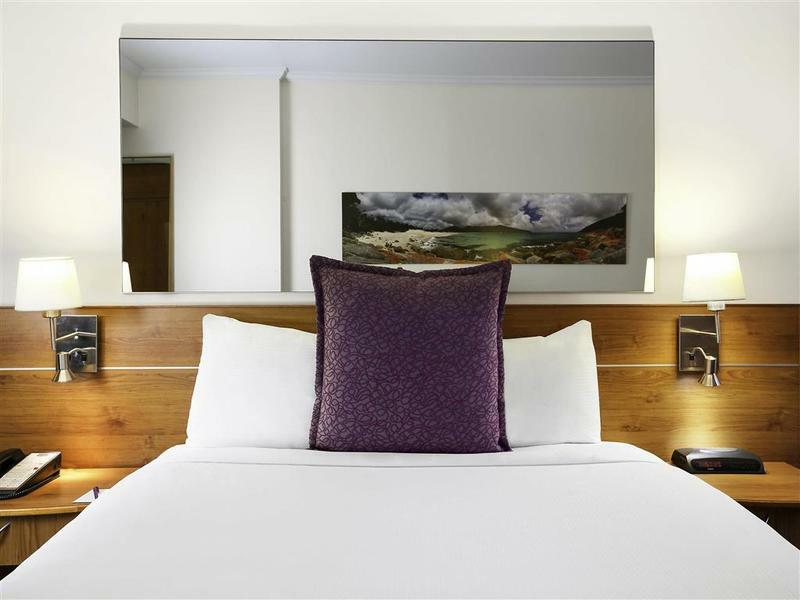 2 nights of Standard room around AUD 160per night with breakfast(tax inclusive). it's very close to Central station. Bed is comfortable but room is small. The ventilation is poor in the bathroom. Air-con is noisy even it's low. i don't think it's a good idea to put the big mirrors on the wall of the bed. The door gap is wide so i could hear people's footsteps when they passed by. 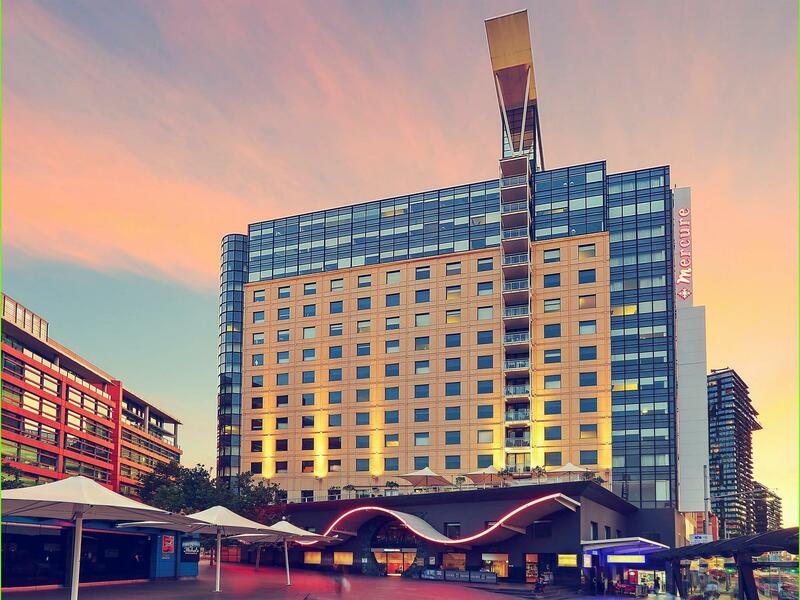 Suggest the hotel to add a walkway to the entrance facing Central Station. It is not easy to carry heavy baggages up or down using the staircase. Trains Station and bus station are just next to the hotel within 1 minute by walking. MCD, KFC, Subway, 7-11, Chemist Warehouse, café & coffee shops are all opposite the hotel, while the China Town is around 10-15 minutes away from the hotel by walking. The breakfast is so-so, everyday the same and not much choices . 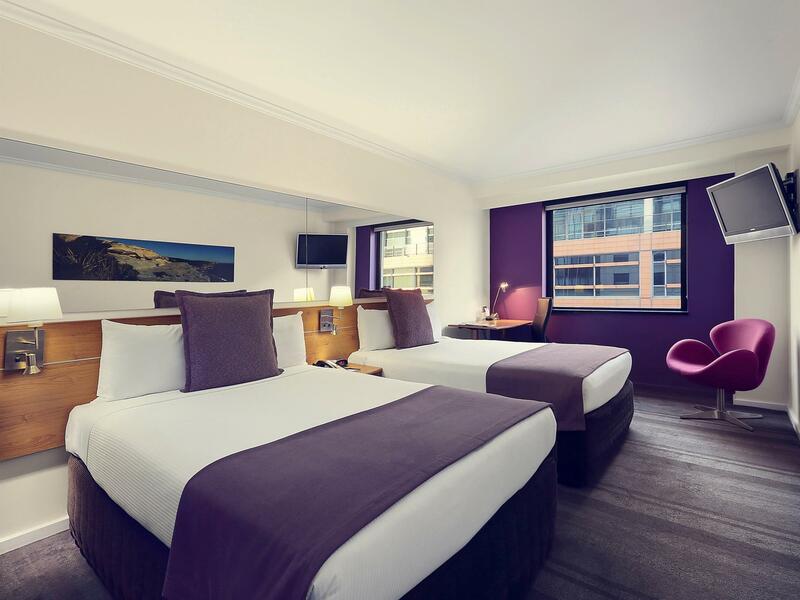 It is a very nice hotel that is located beside central station. It is really easy to commute using bus, train and light rail. Would really recommend travellers to take a look at the hotel for their stay. Very close to Central station where you can go anywhere with trains. Would stay here again. It would be great if the breakfast had more variety e.g. salads and staples such as rice or noodles. I was greeted with a smile upon checking in to the hotel. Room is clean and spacious. Hotel has gym, swimming pool and sauna facility. Location is extremely near Central station. Breakfast was wonderful with lots of varieties. The only downside I would say is the wifi. It tends to be very slow at night. Overall, I would recommend the hotel to others. I have been staying here for 3 nights. It is started by a warm greeting from the lobby by their staff, they are very polite and helpful. 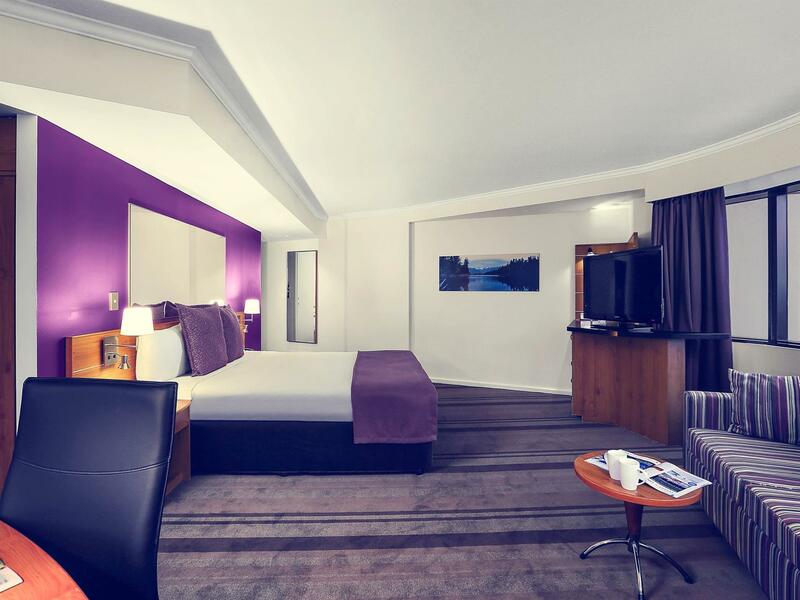 The rooms are very quite, comfortable and warm. If you prefer to drive by yourself, that is a perfect place coz it has Europcar at the lobby already. Also, it located very near to the Central station, easy access to the Airport, within walking distance to Chinatown if you like. 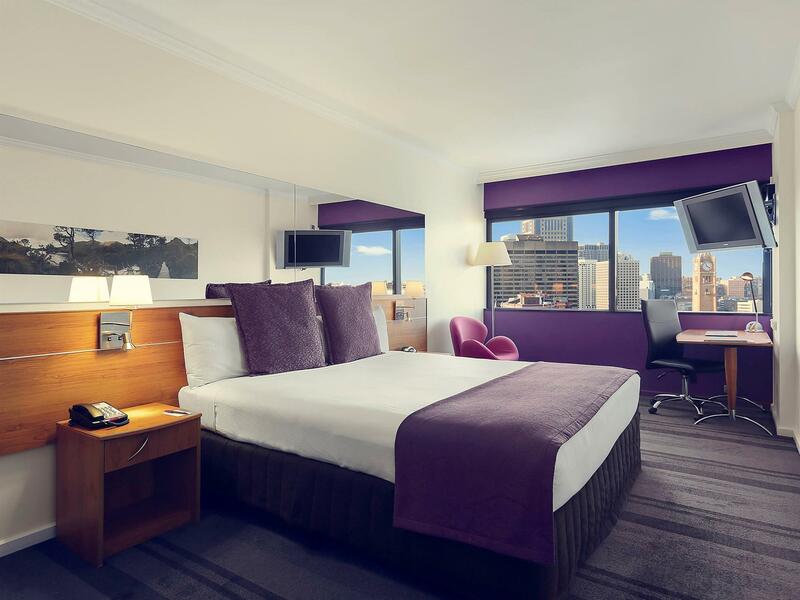 If visit Sydney again, will stay in this hotel again. Fantastic location- close to shops, cafes and trains. Very pleasant and helpful staff. Room was small but comfortable, but the air-conditioning was so noisy we had to turn it off, which meant that the room got very stuffy. Hotel is good. Very near train station. Easy to come from airport by train, no need taxi. Bus stops just 15 meters from the door. Clean and nice room. Coffee is terrible in breakfast. They offer you good coffee but you have to pay 4 dollars. If you want to get decent coffee I recommend you to take that instant coffee from room and make it at breakfast room. Internet is quite limited. Just 30min and 50mb. If you pay you get more. I recommend to buy prepaid SIM from next door shop. The hotel is strategically located at bus, tram and subway.Not to mention heaps of food surrounding it.Breakfast was excellent, staff attentive and friendly and easy going. Room is spacious and clean with great view. 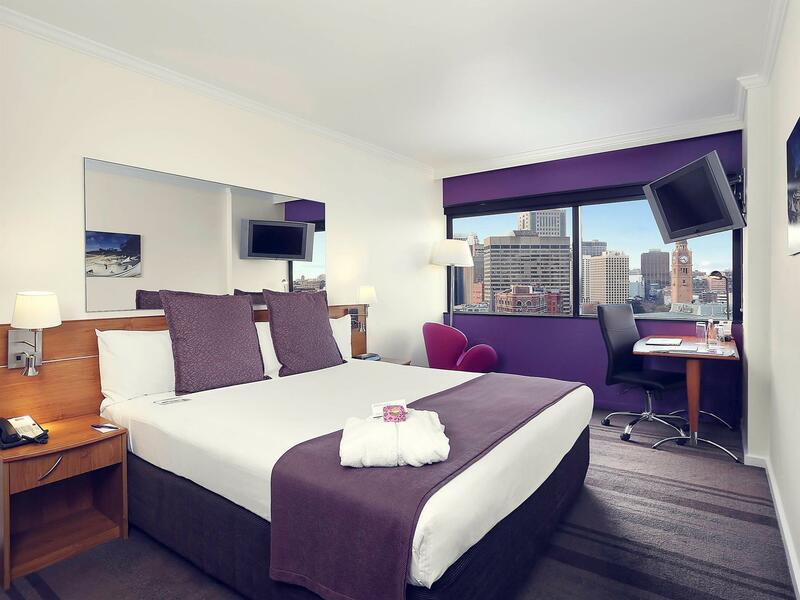 Could not find better hotel with the great value in Sydney will definitely stay here again. we got a nice stay. Enjoyed its perfect location near Central Station. Many shopping outlets include halal foods around. Near to great attractions also. and the staff were great. will stay there again. I paid for the upgrade to the premium suite on the 13th floor. Everything was great except the WiFi. Since it wasn't free I assumed it would be high speed. That wasn't the case. Couldn't even stream 720P (HD) video from YouTube. Took literately forever. 480/360P were working ok. Informed the front desk several times about this and they said the problem was only at peak hours. For me it was all hours, morning and late night. I was downloading and streaming way faster on my 4G Vodafone network. Mgmt needs to fix this if they want to cater to tourists and business travelers. Or risk losing those non-group bookings. Super centrally-located with quite large rooms, very comfortable beds, nice bathrooms, good water pressure. Internet in our original room didn't work, so we were moved and the Internet fee waived. Overall good service. Didn't eat here so cannot comment on that Would definitely recommend. 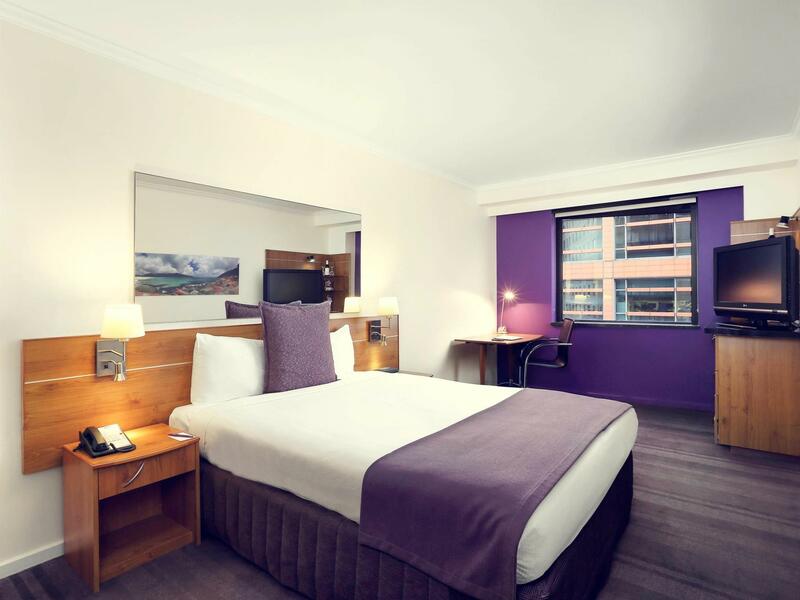 The hotel has direct access to the central station, which is great for you to explore the city and surrounding. The room is very clean and the staff are very attentive. The room is very comfortable and clean as well. There are many food choices nearby the hotel.